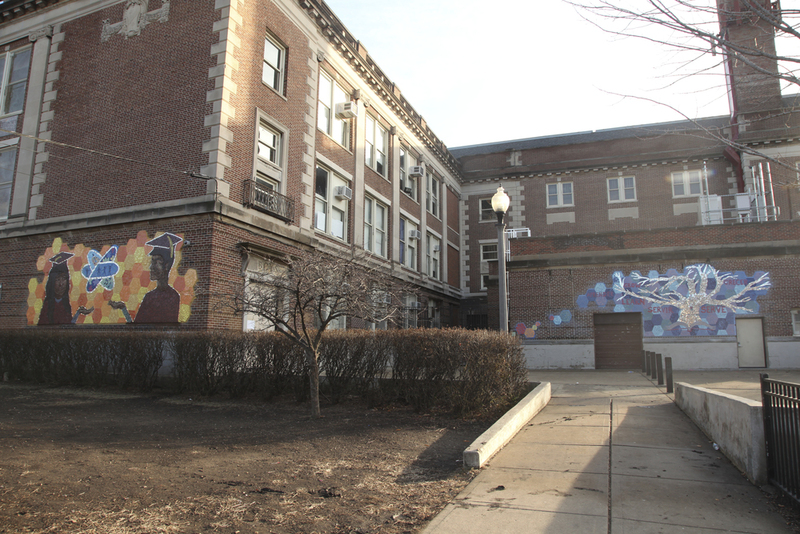 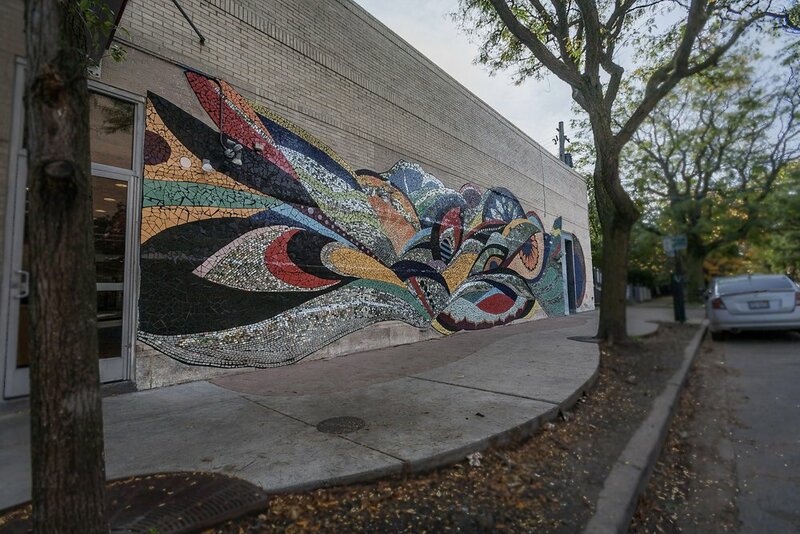 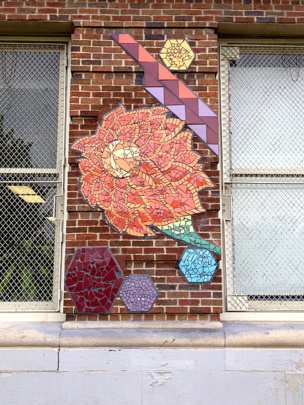 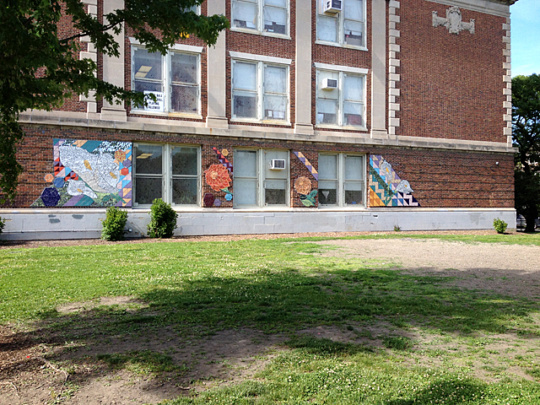 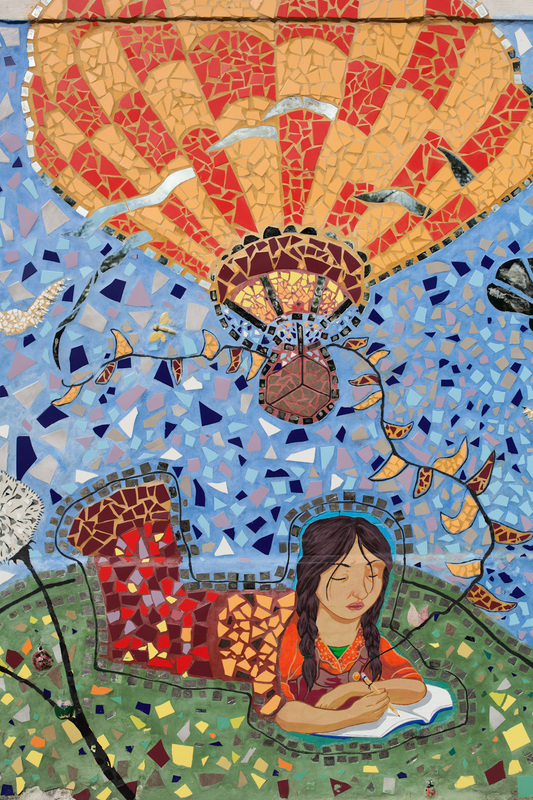 Description: Inspired by the resplendent beauty of nature, this larger-than-life mural provides a splash of color and light alongside a sidewalk in Lakeview. 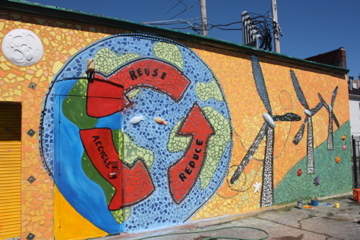 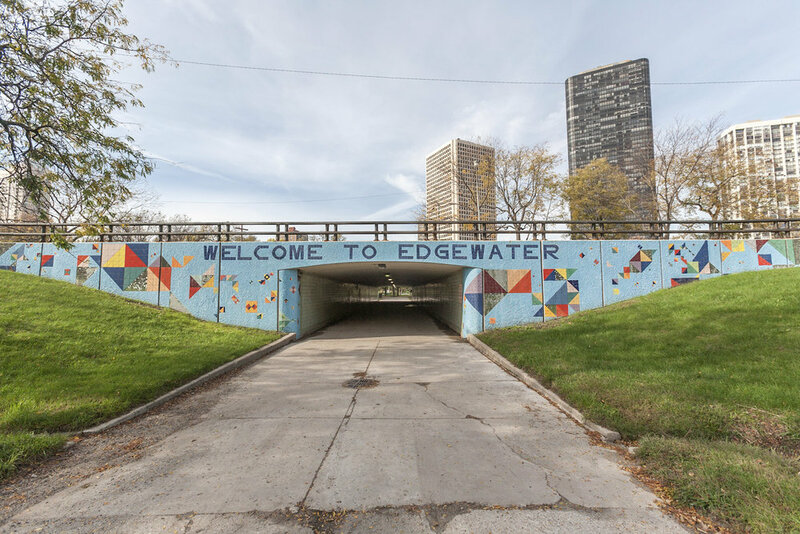 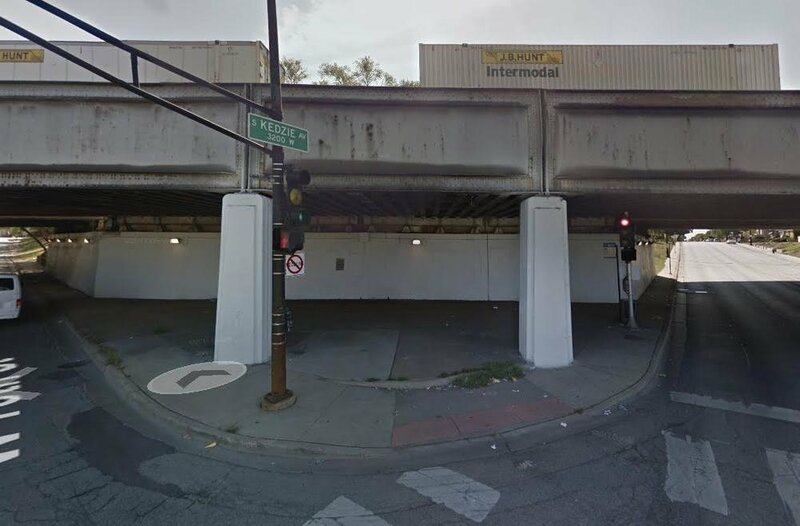 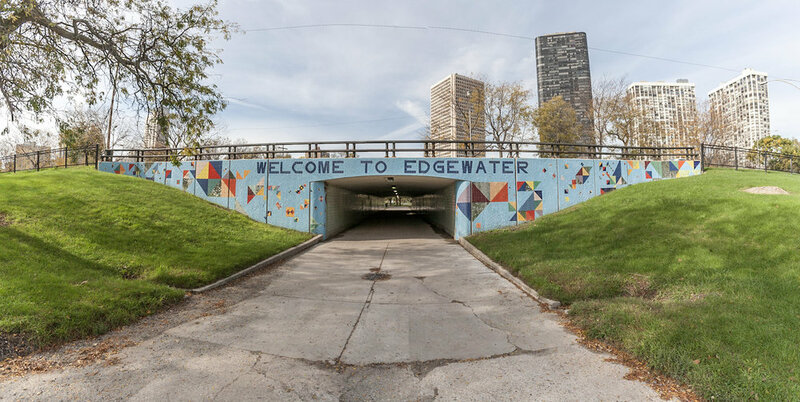 Description: Our team completed this "Welcome to Edgewater" mural on the Berwyn Underpass with the help of the 48th ward. 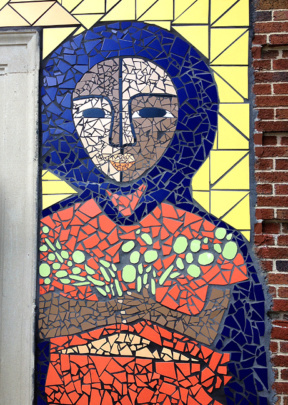 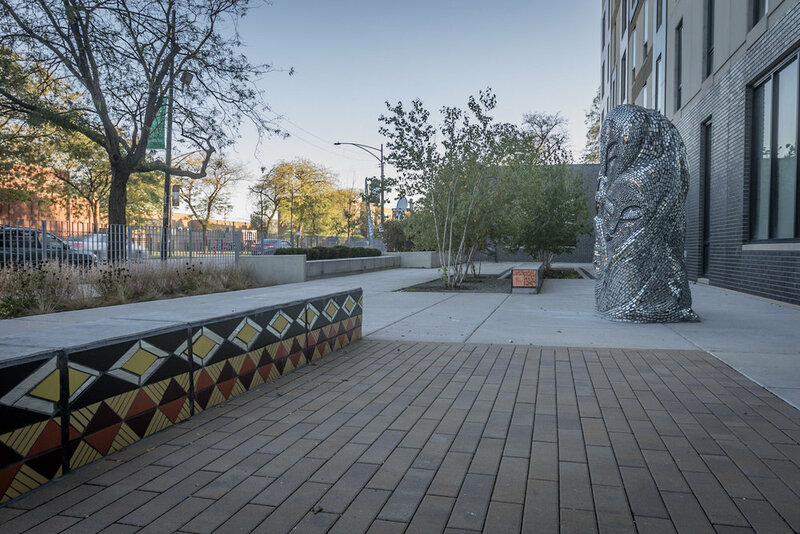 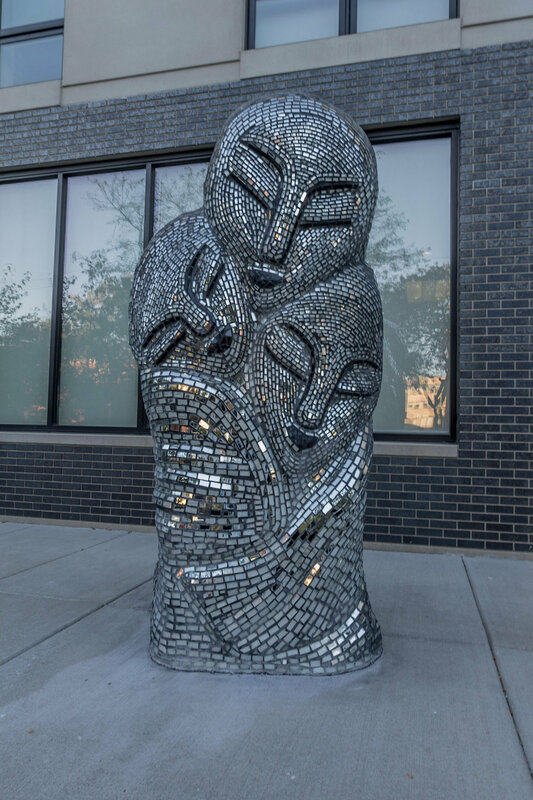 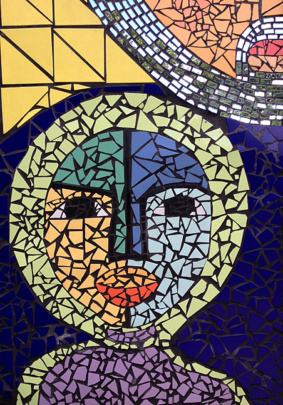 Description: Our team completed a mirror-mosaic sculpture and tile-mosaic benches for the courtyard of an affordable housing complex in Woodlawn run by the Preservation of Affordable Housing Chicago. 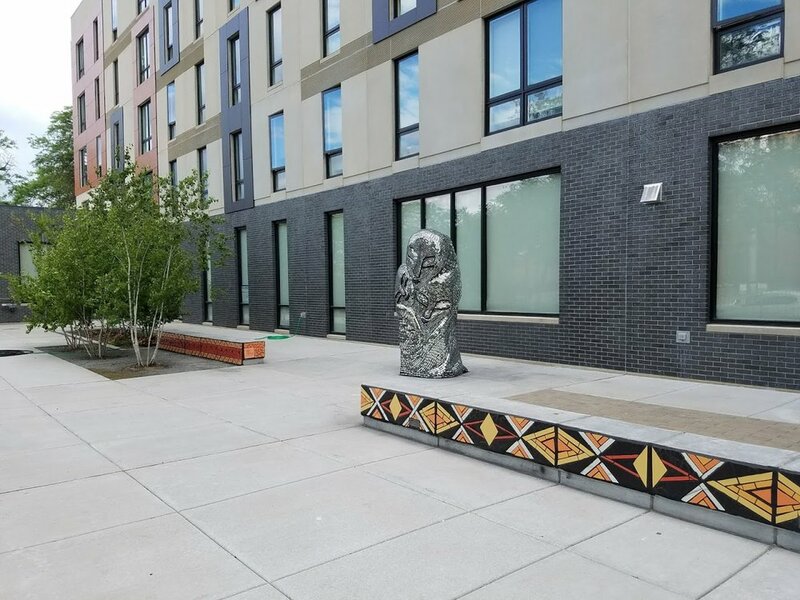 The designs for both the sculpture and the bench were inspired by traditional African imagery and patterns.